PRANIC HEALING is a highly developed and tested system of energy based healing techniques that utilizes "prana" to balance, harmonize and transform the body's energy processes. "Prana" is a Sanskrit word that means "life-force". This invisible bio-energy or vital energy keeps the body alive and maintains a state of good health. In acupuncture, the Chinese refer to this subtle energy as "Chi". It is also called "Ruah" or the "Breath of Life" in the Old Testament. PRANIC HEALINGis a simple yet powerful and effective no-touch energy healing. It is based on the fundamental principle that the body is a "self-repairing" living entity that possesses the innate alaility to heal itself. PRANIC HEALING works on the principle that the healing process is accelerated by increasing the life force or vital energy on the affected part of the physical body PRANIC HEALING influences this natural life force to bring about a healthier physical body. PRANIC HEALING is applied on the bio-electromagnetic field known as the aura, which contains the mold and blueprint of the physical body. This bloplasmic body absorbs life energy and distributes it to the organs and glands. Diseases first appear as energetic disruptions in the energy field before manifesting as ailments in the physical body. You can learn to do this for yourself and your loved ones in these powerful result-oriented workshops. What is the Human Aura (or the Invisible Energy Body)? PRANIC HEALING is currently being taught to doctors, nurses, massage therapists, acupuncturists, chiropractors, the clergy, homemakers, engineers and many others in all walks of life. It has allowed them to heal confidently and consistently in the shortest learning time possible. They find PRANIC HEALING very effective and easy to apply. In the palm of your hands are energy centers called chakras. Through a simple exercise, taught to you, these chakras will be activated. Once activated, these chakras will become sensitive to feeling other's energy. You can scan that energy field to locate blockages and be able to cleanse, energize and revitalize the area with new prana. Everyone has the innate ability to heal and relieve pain. I am not a born clairvoyant nor have I any special inborn healing power. If I could learn how to heal effectively, then you can also! All that is needed is a certain amount of concentration, determination and most of all the willingness to heal. In fact, it is easier to learn to heal than learning to ride a bicycle or play the piano. These are encouraging words from the Oriental Master Healer Choa Kok Sui. 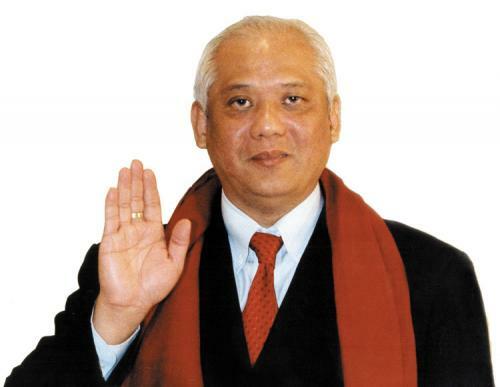 He is the originator of the GRANDMASTER CHOA KOK SUI PRANIC HEALING &amp; PRANIC PSYCHOTHERAPY COURSES, now taught in countries all over the world. He also authored the books PRANIC HEALING, ADVANCED PRANIC HEALING and PRANIC PSYCHOTHERAPY now translated to 16 languages worldwide. PRANIC HEALING is actually a distillation of essences of the worlds most effective healing modalities - Chinese Chi Kung, Reiki, Christian laying on of hands", Tibetan Healing arts and more. PRANIC HEALING scientifically utilizes the prana or life force readily available from the sun, air and ground to heal physical and emotional imbalances. It requires no drugs, gadgets not even physical contact with the subject. No physical contact is required because the practitioner is working on the bioplasmic or energy body and not directly on the physical body. The bioplasmic body, commonly known as the aura, is what clairvoyants perceive as the luminous energy field that interpenetrates the visible physical body. PRANIC HEALING's effectiveness relies on the fact that there is an intimate connection between these two bodies. As we heal the bioplasmic body it creates a new and perfect pattern for the physical counterpart to follow, resulting in a healing. PRANIC HEALING acts as a powerful catalyst to spark the bodys inborn ability to heal itself. However, it is not meant to replace orthodox medicine but rather to complement and enhance it. How could a person learn to heal effectively in a very short time? In PRANIC HEALING this is accomplished by giving the student a step by step cookbook approach to healing. Below are some of the fundamental principles of PRANIC HEALING. It is by removing the diseased energies from the affected energy centers/diseased organs and then energizing them with sufficient life force/prana that healing is accomplished. Energizing without first cleansing is like pouring fresh coffee into a cup that is already filled with stale coffee. This approach is slow and quite wasteful. A healing crisis is most likely to occur if the diseased energy is pushed further into the body by a willful healer. A healing crisis is a process whereby the body attempts to expel stale or diseased energies. Some of symptoms are vomiting, fever, diarrhea, fatigue and heavy sweating. Most of us know of some healer or health practitioner who has become drained by performing a healing or counseling session. Most healers make the mistake of using the battery approach by transmitting their own life force energy to their subject. When they get drained they have to take a retreat or a recharging time to replenish their energies. In PRANIC HEALINGsm we utilize the "water pump" approach. All of us are swimming in an ocean of energies. By knowing how to properly pump the energies to our bodies and then systematically projecting them to the subject, we are able to sufficiently energize the subject without draining our own supply of life force. Most healers get sick either because their life force gets drained or they are contaminated by their subjects diseased energies. Absorption of diseased energies occurs not only on the physical level but also on the etheric, astral, mental and spiritual levels. Decontamination also involves the purification of the healing space for the benefit of the healer and future clients. By diligently observing this comprehensive Healing Hygiene, a healer is assured many years of good health while providing service to his/her clients. Chakras is a Sanskrit term for wheels. Clairvoyants perceive chakras as spinning wheels of light. They act as energy power stations to enable your energy body or aura to absorb and process energy from our surrounding. After extensive research with the help of high level clairvoyants as well as medical professionals, GrandMaster Choa has been able to synthesize a list of different ailments and the corresponding energy centers that affect them. Each ailment has a unique group of chakras that are affected. So by properly applying the correct technique to the affected chakras, you can expect to produce results consistently. White prana from the environment is absorbed by the energy body and then digested into different color energies to be utilized by the different organs. By using intention and visualization skills you can project color energies to the subject to produce more effective healing results. Examples of this would be using red prana on asthma subjects to help dilate their constricted air tubes and the use of blue prana to cool off a subject with a fever. More severe ailments like AIDS and cancer respond better to more potent color frequencies like violet and electric violet. Using color prana is like going to a specialist instead of a general practitioner. is used to heal emotional and psychological problems. When patients talk to their counselors, it is actually a process of externalizing the negative emotional energies stored in their astral and mental bodies. Negative emotions and traumatic experiences are essentially negative thoughts and emotional energies lodged on to the aura and the specific energy centers of the subject. These energies are often difficult to release, requiring months or even years of traditional psychotherapy. By using advanced energetic extraction techniques on the affected chakras, childhood emotional traumas, phobias, compulsions and addictions can be alleviated in a very short time. This is all done without the recipient even having to reveal any potentially embarrassing personal information. It is not uncommon that in just the first session the subject experiences an unusual sense of peace and serenity, like a big weight has been lifted from their shoulders. When coupled with traditional therapies and techniques, PRANIC PSYCHOTHERAPY offers you the ability to quickly and safely release these crippling energetic patterns. In healing ourselves and our loved ones, we should also remember that we are part of a bigger life - Mother Earth. The Meditation on Twin Hearts is practiced by PRANIC HEALING practitioners worldwide as a global healing technique. It is also a form of world service because it helps heal and harmonize the earth by blessing it with loving - kindness, peace, joy and goodwill. As GrandMaster Choa Kok Sui says, Today, more than ever, humanity has a great need for rapid and effective methods of balancing both the material and spiritual life. There is also a mass awakening of consciousness through which people are seeking more spiritual solutions to problems related to various aspects of life such as health, relationships, stress, and other social sufferings. I believe that this meditation greatly helps to meet the urgent global requirements. "Many practitioners of Meditation on Twin Hearts around the world are discovering and experiencing the following benefits within a short period of time: Heightened level of intuition Increased healing power Sharper and clearer thinking Inner peace, love and compassion Enhanced spirituality Brighter and more balanced aura and bigger chakras Safe activation of higher clairvoyance Healthier physical bodies Success in life with less stress . A more magnetic personality We invite you to experience these benefits for yourself." enable you to heal confidently and consistently in the shortest amount of learning time possible. However, they are not meant to replace orthodox medicine rather to complement and enhance them. As GrandMaster Choa Kok Sui says, With so much pain and suffering around us it is my goal to make paranormal healing quite normal and commonplace in the near future." Harness the power of Mother Earth's precious gifts. Use Crystal Power to enhance your healing ability, spirituality and prosperity. Consecration of Crystals - make your crystals more powerful by 1000% or more! Use Crystals as protective amulets against psychic attacks - which ones really work! Many times, I am asked what Pranic Healing can do, or how it has helped me. As the years went by, I found my answer changing. Initially, I used to reply that Pranic Healing can improve health. Later, I started answering that Pranic Healing can lead to greater emotional stability and still later, my answer was that Pranic Healing can help develop our mental abilities. Today, I have a more concise answer. What can Pranic Healing do for you? Anything! If this seems like an exaggerated statement, read on a little and allow me to explain! In today's world, everything depends on energy, in the form of electricity, magnetism or otherwise. Consider for a moment what our world would be like without energy - life as we know it would be impossible. Almost none of today's appliances and gadgets would work! (Some of you might argue that this wouldn't be too bad - no more crashing computers and lost data!!) On the other hand, the more energy we have, and the the more we learn how to store energy, the greater our technological advancements. What we must realise is that our body needs energy too. When we lack energy, we feel tired or drained. We fall sick more easily. Haven't you noticed that when you are tired, you are more likely to get stressed or irritable? When we are tired, our mind is sluggish as well, we find it difficult to concentrate or remember things. What Pranic Healing does is to focus on our body's need for energy. This energy is called by various names in different cultures - prana, chi, ki, etc. It is also called life force. That is exactly what it is. This is the energy of life, this energy is what gives us existence. Naturally, the more of this life force our body contains, the more energy we have in us, the more we can do. On the physical level, when we have more life force, our body has greater energy not only to maintain itself, but to begin repairing and healing itself. Thus, many people who use pranic healing regularly find that simple ailments begin to get healed, aches and pains, sinusitis all begin to get better. Even people with more serious ailments like arthritis, asthma, etc. begin to find relief. When our body has a lot of energy, we are more lively, have greater stamina and do not get tired easily. This means we do not get stressed as easily, we do not feel over whelmed. This, in turn, translates into greater peace and calmness emotionally. Mentally, with more energy, our mind is sharper and more focused, memory improves and so does concentration. Thus, just by increasing our energy level, we begin to see positive chages physically, emotionally and psychologically. Pranic Healing addresses the need for more energy. It is a system based on energy or life force. What is it, where is it from, how can I use it? The student is taught specific techniques to quickly recharge the entire body, or specific parts of the body. This can be done in a matter of minutes, with just a little practise. Any meditation automatically brings about spiritual growth, a greater degree of oneness with the Divine or with our Divine nature. This, according to probably all religions and spiritual schools, is the purpose of life, and one that many of us ignore! Thus, to go back to my initial statement, pranic healing can do anything for you, because it starts with you, with your energy. Learning the techniques opens up a whole new world of life force, which can be used for anything. It has changed my life - it can change yours. Try it! Not only can the techniques be used for yourself, but for anyone else as well, no matter where they are. Just as energy can be transmitted from one place to another (for example in the form of radio waves or T.V. signals), similarly, life force can be transmitted to another person, no matter where they are. This is the principle behind distant healing. Another very powerful way of increasing your energy level is meditation. Pranic Healing includes the Meditation on Twin Hearts for Peace and Illumination. This is an advanced, guided meditation that rapidly but safely activates your energy centres and increases your energy level. (It is not unusual for practitioners to experience a 200 - 300% increase in their energy levels on just the first try!!) The entire meditation, including some preparatory physical exercises takes just 30 minutes. Practising the meditation just 3 - 4 times a week can make a tremendous difference to your energy level. Think about it, 2 hours in a week to bring about a transformation in your life, physically, emotionally and mentally. And let us not forget spiritually. "A case involved a family friend who has advanced scleroderma, an autoimmune disease affecting the connective tissues of the body. The skin of the hands gets thick and tight. The esophagus can scar and become blocked, making swallowing difficult. And the lungs can also develop scar tissue, making breathing difficult. When I first started seeing M.G. for Pranic Healing, she was experiencing marked shortness of breath with minimal exertion. After walking up the one flight of stairs to her second floor apartment, she would literally collapse on the floor for half an hour to catch her breath. Additionally, she had stiff and painful joints, making extended walking difficult. After one Pranic Healing treatment, she experienced dramatic relief in her joint pain and her fatigue. It was easier to breathe, and her energy level exploded. She remarked to me after the first treatment that her life had changed to such an extent that she now runs up the stairs to her second floor apartment and then turns on the music to dance. Perhaps my most dramatic case was that of J.M. He wasnt my patient, nor was he referred to me, but I had seen his name up on the roster of our surgical ward for so long that I decided to introduce myself. He had had a surgery to remove his gallbladder many months before this, and unfortunately had suffered some significant complications, including an injury to his common bile duct. After this injury, he required several more major surgical explorations. And as frequently happens with complex cases, once things start going really wrong with the body, they seem to escalate. The patient developed multiple enterocutaneous fistulae (this means that intestinal fluid was leaking out through the skin of his abdominal wall); yeast sepsis (a very serious condition, fatal nearly 70% of the time, in which yeast grows in the blood); and a pulmonary embolism (a blood clot in the lungs, fatal nearly 60% of the time). He also had been having daily fever spikes for the past six weeks, and months of constant nausea and vomiting. No one thought that he was going to live past Christmas. It seemed to me in simplistic terms that the patients energy level was low, his batteries were depleted, and he could no longer heal himself. Most of what was going wrong was a symptom of this. I began to apply Pranic Healingsm daily. Within two days, his fever and nausea disappeared. Within one week his pulse rate decreased from the 150 range to the 120 range. He eventually got strong enough to tolerate a final surgery to repair his fistulae, and went on to make a full recovery." "I have been using PRANIC HEALINGsm in a standard medical practice for almost a year. It has been used to effectively treat migraine headaches, labyrinthitis, chronic bladder pain, menstrual cramps, anxiety, insomnia, irritable bowel syndrome, and muscuskeletal problems. It has worked well on postoperative patients to help them get return of bowel function, and a return to feeling "normal again". It has proven to be an excellent complement to my standard practice of allopathic medicine." Learn To Use The Secret Techniques of Master Healers! White prana is composed of prana of different colours. These colour pranas are used by different parts of the body. By using one’s intention and certain visualisation techniques, you can project colour prana to the patient to produce more effective healing results. Examples of this would be using red prana on asthma subjects to help dilate their constricted air tubes, and the use of blue prana to cool off a subject with a fever. More severe ailments like AIDS and cancer respond better to more potent colour frequencies like violet and electric violet. Using colour prana is like going to a specialist instead of a general practitioner. The Advanced Pranic Healing Course includes many powerful healing techniques that make healing much faster and more effective. There are methods to activate the immune system and defense mechanism, to heal wounds and burns rapidly, to rapidly energise the entire body taught alongside topics on preventive healing and instructive healing.